Jeff Goodby may be best known as the guy who dreamed up "Got milk? "—one of the truly legendary advertising taglines of all time. But lately he's been obsessed with a very different kind of beverage. For the past few years, the Goodby Silverstein & Partners co-founder has been helping to produce, design, brand and market a high-end Mexican tequila called Tears of Llorona—a side business completely separate from his work at his San Francisco agency. Goodby got into the liquor business with his old advertising partner Andy Berlin, who was also a co-founder of what was originally Goodby, Berlin & Silverstein (and later a co-founder of Berlin Cameron). At first they were interested in making a rum. But then a mutual friend, Martin Pazzani, introduced them to Germán Gonzalez—a master tequila distiller in Mexico and a direct descendant of Gen. Manuel Gonzalez, the country's president from 1880 to 1884. 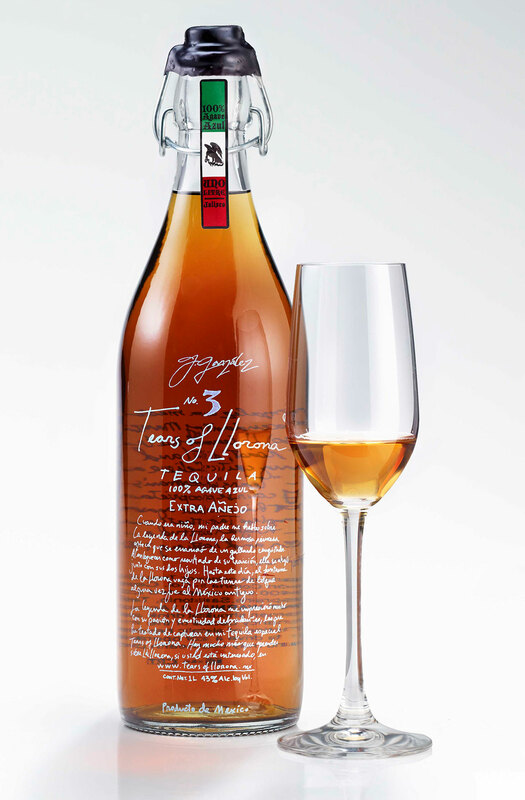 Gonzalez, already a renowned figure in the tequila business, had just created a new ultra-exclusive "extra añejo" tequila, which is aged five years. Goodby and Berlin were intrigued, though at first, Gonzalez wasn't planning to sell the stuff at all. "He said 'I'm not going to sell this. I don't have that much of it,'" Goodby recalls. "And we said, 'That's actually cool, not to have enough of it. People might find that interesting.'" Soon, they were in business together. The partners include Gonzalez, Goodby, Berlin, Pazzani, Goodby's brother Scott (a onetime top executive at Liberty Mutual) and Larry Siskind (a college friend who was on the Harvard Lampoon with Goodby in the '70s). Goodby and Berlin's main job, unsurprisingly, is the branding and marketing. Among other tasks, they had to name the product, design the bottle and steer the advertising. The name came fairly quickly. Goodby and Berlin were aware of the legend of La Llorona. In Latin American folklore, she is the ghost of a woman who had drowned her children as revenge after her husband left her for a younger woman—and who is forced to wander the earth weeping. "She's a little spooky, and she cries looking for her children," Goodby says. Designing the bottle was trickier. "I got a designer friend involved, and the things he was cranking out were really gorgeous, and expensive to make," says Goodby. "We did a little focus group where people said it looked like a high-end tequila. But it didn't somehow capture the handmade quality of the thing." Around this time, Goodby happened to go to Auction Napa Valley, a celebrated wine event. On the winning bottle, "a guy had actually taken what looked to be one of those silver Magic Markers and had written his name on the bottle," Goodby recalls. "And I thought, 'That looks great!' "
Instead of a really ornate bottle, Goodby and Berlin chose an almost off-the-shelf bottle and just put some interesting handwriting on it. Goodby wrote a little story about tequila, which appears in English on one side of the bottle and in Spanish on the other side. Berlin did the actual handwriting in his distinctive scrawl. "It looks very handmade," Goodby says. "Compared to the really beautifully designed ones, this one just killed. It was much more interesting to people." From there, it was a matter of distribution and marketing. "We've learned to make the bottles in Mexico. We have our own casting of the bottle," Goodby says. "We've learned how to get the bottle printed and silkscreened in Mexico, and then filled and sent across the border. There's a lot that goes into a little thing like this."